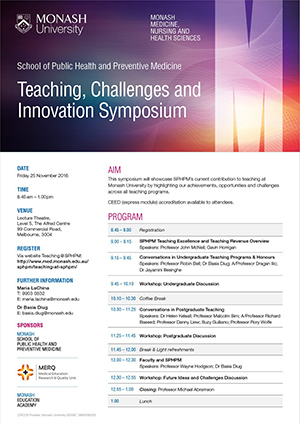 The SPHPM Teaching, Challenges and Innovation Symposium coordinated by Dr Basia Diug and Maria LaChina was held on Friday 25th November 2016 and attracted over 90 senior and teaching staff. 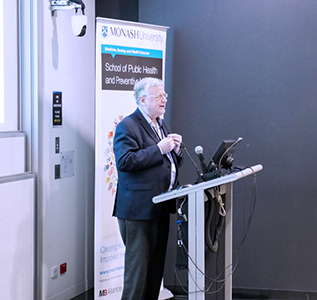 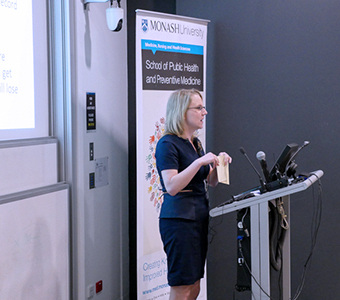 The symposium successfully showcased SPHPM’s current contribution to teaching at Monash University and highlighted opportunities for expansion and collaboration across teaching programs. 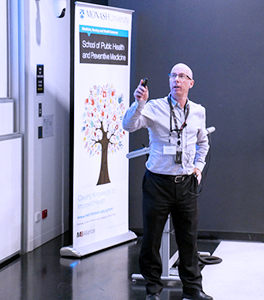 Key staff members provided overviews of under-graduate, post-graduate, short course and other program teaching, with a focus on SPHPM-led innovation. 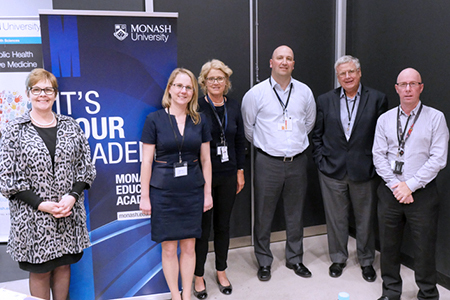 The symposium concluded with an open discussion of how we might address future challenges facing teaching staff in a climate of increased uncertainty and rising enrolment numbers. 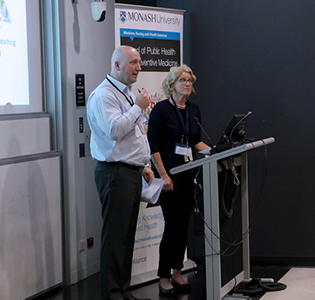 Thank you to our speakers, staff members of SPHPM and MERQ and in particular the Monash Education Academy for their generous sponsorship of the symposium.